Cereal is a staple in our house. No seriously, we could eat it for breakfast, lunch, and dinner! 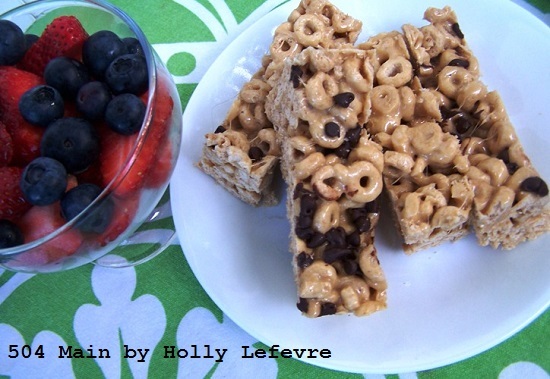 We also love snacks...so what better way to make us (and hopefully you happy) than by combining cereal and snack bars! 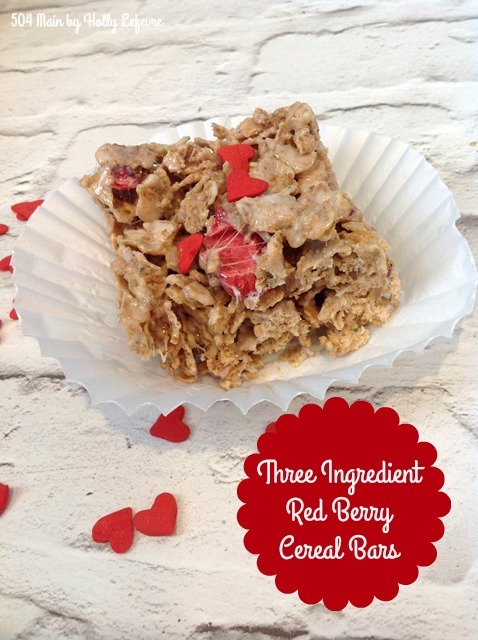 One of my kids favorite cereals is Special K Red Berries, so I decided to turn that into a yummy cereal bar. 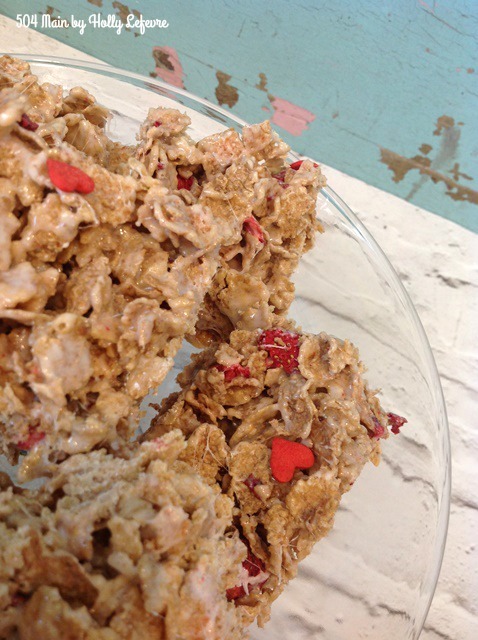 Just to be clear, I made these as a snack...a treat...not as a substitute for breakfast. 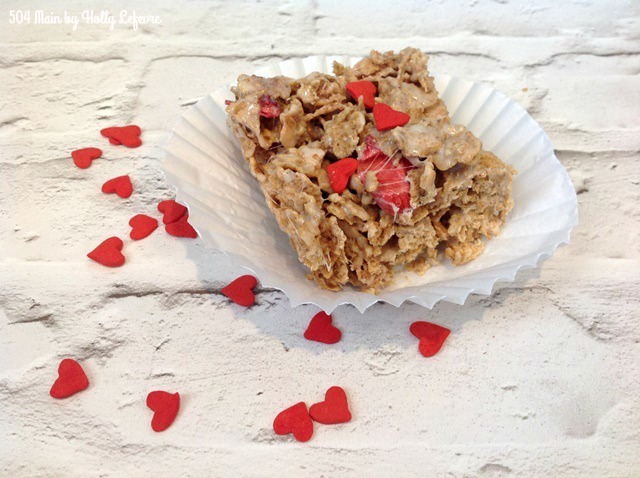 I have made cereal breakfast bars before and they are yummy. But right now, it's all about the snack! And, by the way, these would be super quick and adorable for Valentines Day- the perfect red of the strawberries and the sweetness, just reminders me of that special day! You just need three ingredients! Place remaining butter in a large pan on the stove top. OPTIONAL: add your extract/flavoring here is you want them. 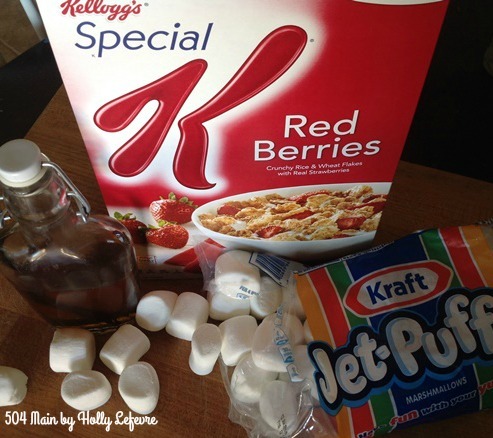 Pour in 6 cups of Special K Red Berries. 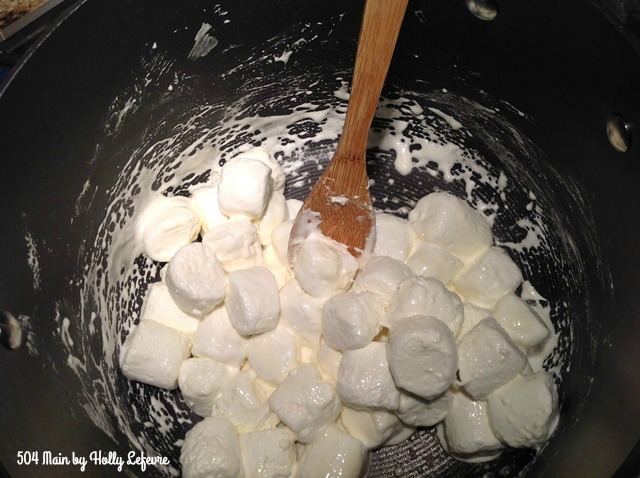 Gently fold in the cereal to the marshmallows, until they are all coated. 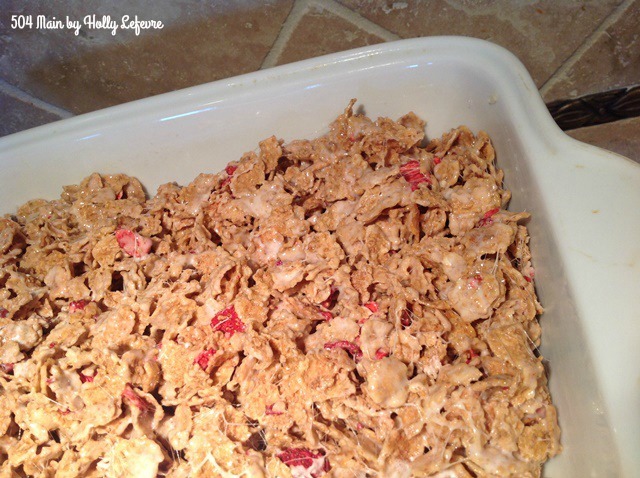 (Be gentle to keep the flakes in tact and prevent them from getting crumbled). Press into prepared pan and let cool. For Valentines Day I had some heart sprinkles on hand, so I just added a few on top...because they are cute! 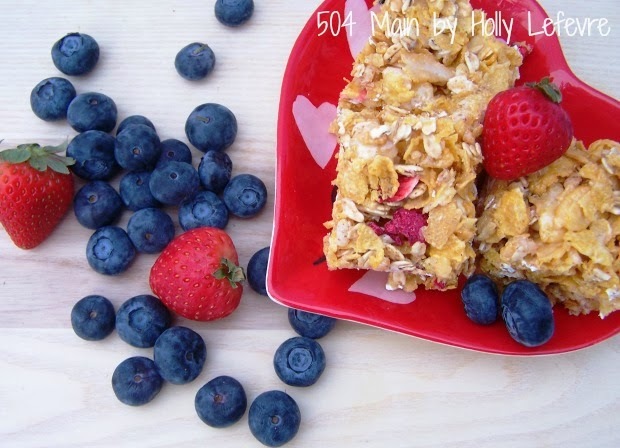 Like cereal like us, try these tasty recipes!